Please note all our fresh items come directly from Thailand therefore we can not guarantee we have them in stock at the time of ordering. 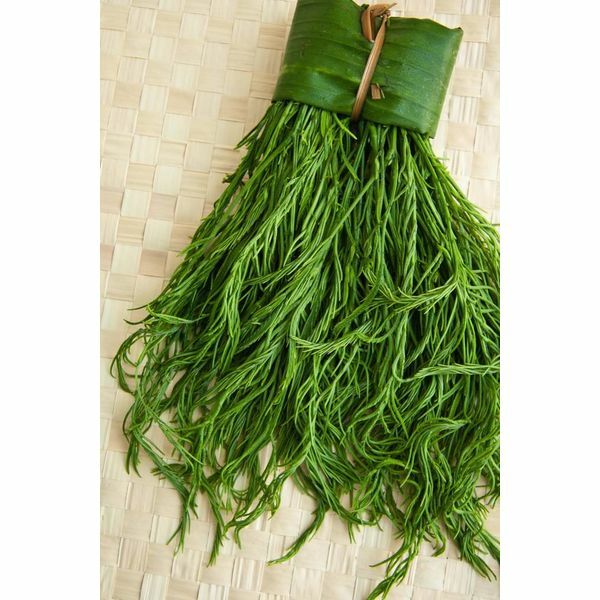 Cha Om, a tropical member of the acacia family (Acacia pennata) native to mainland Southeast Asia, is a well-loved herby vegetable among Thais, Cambodians and Laotians. The parts that are eaten are the ferny young leaf shoots and tender tips, before the stems turn tough and thorny. It has a particular fragrance that may seem unpleasant at first to the accustomed, but when its cooked up, it's so tasty that most people can't stop eating it and the aroma is just part of the package and soon becomes quite likeable.